Obesity is a major cause for concern in any being and it can quickly lead to other health issues. In cats, excess weight and obesity can cause serious medical conditions that can lead to a deteriorating overall health. Feline weight management can be difficult, because cats that are overweight tend to be less active, and a diet that isn’t approved by a vet can cause serious health complications. VRC knows how difficult it can be to manage your cat’s weight properly, and we wanted to share some important information to keep in mind regarding feline obesity. Why Does Your Cat Need to Lose Weight? If your cat is overweight or obese, he or she will be at a higher risk for many health conditions. Instead of worrying about if your overweight cat will develop a serious medical condition, the concern is really about when it will happen. Overweight or obese cats are three times more likely to develop type 2 diabetes than cats with a healthy weight. Type 2 diabetes can be a very serious condition, and it can lead to further medical issues as well. Cats with type 2 diabetes may become dehydrated, depressed, or comatose when left untreated, and may need to visit with a veterinary internist in the Greater Philadelphia area for management. Diabetes can even be fatal in cats. Heart disease is also a concern in felines that are overweight or obese. 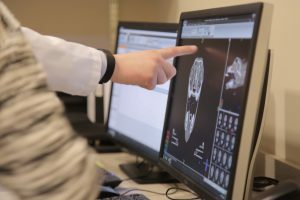 The additional weight causes cardiovascular stress, which can lead to heart disease that would need to be addressed by a veterinary cardiologist in the Greater Philadelphia area. Heart disease can lead to heart failure. Symptoms of heart failure include lethargy, unhealthy weight loss, weakness, coughing, and difficulty breathing. Eventually, heart failure can cause death. Orthopedic injuries are common in cats with obesity. These injuries can cause pain and stiffness, as well as permanent damage to joints. It is very important to keep cats at a healthy weight to avoid injuries such as these that can cause chronic pain and a decreased quality of life. Orthopedic injuries can also be debilitating and may require vet surgery at VRC to correct. Another concern in cats that are overweight or obese is osteoarthritis. Osteoarthritis is a degenerative disease that causes the cartilage cushion in the joints to break down. In turn, bones start to rub together and cause pain, stiff joints, and bone spurs. Over time, you may notice your cat is less active due to the discomfort osteoarthritis causes, which can further exacerbate weight problems. VRC’s number one advice for determining whether or not your cat is overweight or obese is visiting your family veterinarian. However, you can also try the following tests at home. First, cats with a healthy weight have ribs that are easy to feel. Just behind the shoulder blades, run your fingers flat against your cat’s ribcage. If you can’t easily feel individual ribs, your cat may be overweight. Second, at the end of the ribcage, you should be able to see and feel an indentation that creates a similar shape to an hourglass on your cat. Overweight cats may also have a droopy stomach. The stomach of a healthy cat should feel like it is “tucked up” under the pelvis. This can be the hardest way to test for excess weight or obesity, but imagine that a line extends from your cat’s breastbone to the pelvis. This line should form an angle between 30° and 45°. If you notice that these conditions are not met, take your cat to a veterinarian for further examination. A vet can quickly tell you if your cat is overweight or obese and help you get started on a path to better health for your pet. What to Do If Your Cat is Overweight or Obese? The first thing you should do if your cat is overweight or obese is consult with your veterinarian. Vets have access to resources and knowledge that you might not be able to get. With the help of a veterinarian, you can set up a diet and exercise plan that will reduce your cat’s weight. Many vets will offer suggestions for getting your cat to be more active. Your vet can help you personalize your cat’s exercise routine to something he or she will be likely to participate in. Playing with your cat for a few minutes a day can dramatically help with weight loss. Take ten minutes in the morning and another ten minutes in the evening to get out some toys and let your cat burn some calories while having fun. Not all cats like playing with toys, however. If your cat doesn’t like toys, it won’t be beneficial to attempt playtime. Instead, your vet can offer up suggestions like walking your cat or moving your cat’s food bowl to require more physical activity. Feeding your pet from a food puzzle can help your cat lose weight by requiring him or her to work for food. One great way to help your cat safely lose weight is through a veterinary physical rehabilitation program at VRC. With therapies such as hydrotherapy, vets can safely exercise your cat down to a healthier weight in ways that are easy on delicate joints. In cases where injuries caused by obesity are severe, surgery may be necessary to repair it. After surgery, physical rehabilitation provides a safe way for your pet to heal while still being active enough to lose some of the problem weight during recovery. VRC’s rehabilitation program can help cats lose weight in a safe, injury-free way. Dieting is very tricky with cats. Putting your cat on a diet can cause him or her to avoid eating altogether. If your cat doesn’t eat for a few days in a row, he or she can be at risk for developing hepatic lipidosis, a life-threatening liver disease sometimes referred to as fatty liver syndrome. Consulting with your vet before restricting or changing food is extremely important in the process of healthy weight loss for your cat. If a food change is necessary, your vet will provide you with a timeline for gradually switching over food formulas. VRC is well-equipped to assist your cat with losing weight, as well as addressing medical issues that arise from pet obesity. If you believe that you have a cat with weight issues or a resulting medical condition and you live in Greater Philadelphia area, contact VRC at 610-647-2950 today. When it comes to keeping your dog healthy, people often think of choosing the right food, regular visits to the vet, and making sure your dog gets enough play time. But play time or brief walks don’t always provide your dog with enough crucial aerobic exercise—and dogs that don’t get enough exercise are more likely to become overweight or obese. Overweight pets are becoming more and more common. We’re all busy these days, and most of us barely have enough time to exercise ourselves, much less ensure that our animals get adequate activity. But it’s crucial for your pet’s health (just as it is for our own!) to make sure they’re up and moving briskly every day. Your dog probably wants to exercise every day, hard enough to make them pant. And making sure your dog keeps active can help prevent a host of serious conditions and diseases. When dogs become overweight, they suffer from the same sorts of problems as overweight humans do. Overall, they have a shorter life expectancy, and overweight dogs are at risk for diabetes, bone diseases and joint pain, diseases of the heart and the lungs, and cancer. While, as is the case with humans, daily exercise is no guarantee against chronic illness, the evidence suggests that it helps. Staying at a healthy weight can also help your dog once he or she gets older. Aging dogs can have a difficult time getting up, jumping into cars, and playing. Obesity puts extra strain on their joints, which compounds these struggles. Of course, not all dogs are the same. The exercise your dog needs will vary based on its breed, age, size, and general health. A border collie will need a lot more active time to remain healthy than a teacup terrier, for example. But, an average dog will need between half an hour to two hours of activity every day. Walking is a great way to get your dog up and moving, but that’s not the only way you can exercise them. 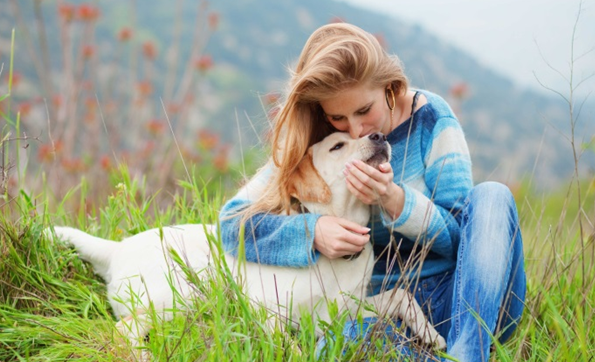 In fact, your dog can be a great motivator for keeping you and your family active! A nice family hike can be a great way to get you and your dog’s heart rates up, as can a few runs a week. Even playing a game of fetch is great for you and your pet. You’re up off the couch or away from your desk, moving; they’re running happily to and fro, getting in the heart-healthy exercise they need. Of course, it’s good to be cautious. Like older humans, older dogs may not be up to every challenge. Before embarking on a weight loss program for your pet, consider a visit to your primary veterinarian. Just like you’d consult a doctor before trying to lose weight, it’s a good idea to talk to a professional about your dog’s unique needs. Your pet can’t tell you when he or she is tired, thirsty, or hurting, so it’s good to know everything before changing up a routine. VRC is a specialty veterinary healthcare center in Malvern. We are open 24 hours a day, 7 days a week, 365 days a year. Bodies are complicated, amazing machines. Just take a moment to think about all they do, every day, consciously and unconsciously. Whether they’re moving—running, jumping, playing—or sitting still, or resting, bodies are also unconsciously breathing, digesting, pumping blood… the list goes on. But the truth is, all machines, no matter how astonishing or efficient they might be, break down from time to time or wear out with age. That’s why physical rehabilitation exists. We used to think that after an injury or as bodies aged, resting was the best course of action for a speedy recovery. Now, we know so much more! These days, physical rehabilitation. is designed to help bodies recover and thrive after accidents or surgery, or maintain (or even gain!) strength as they get older. Physical rehabilitation improves lives by helping to reduce pain, preventing future injuries, and improving range of motion. But just in case you were thinking we were talking about human bodies, we’re not! Physical rehabilitation can help your pet, as well! Just like us, our pets are living longer these days, with all the wonderful advances being made in veterinary science every year and improvements in our general understanding of things like aging, nutritional science, and the various stresses the world puts on our bodies. But, as we all know, living longer means… well… aging. Stiff joints, surgeries, and changing nutritional needs affect us all, human and animal alike. And that’s where physical rehabilitation comes in! 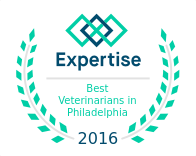 Here at VRC, we’re your Malvern veterinary hospital, especially when it comes to pet rehabilitation in the Philadelphia area. We’re proud to have Dr. Elizabeth Perone on staff directing our rehab services. A former emergency vet, Dr. Perone has shifted away from emergency care for pets and toward a focus on rehab for animals. She’s certified in canine rehabilitation, has advanced knowledge of pet acupuncture, and is a member of both the American Association of Rehabilitation Veterinarians and the International Veterinary Academy of Pain Management. She’s even certified in canine sports massage! Dr. Perone and her staff are dedicated to helping improve your pet’s quality of life via physical rehabilitation, whether your furry friend is an athlete, injured, or simply naturally aging. At VRC, we take into account the unique concerns that arise for every animal to determine the specific kind of physical rehabilitation your pet needs. We keep up to date with the latest techniques to provide the best experience possible for your devoted companion. Whether your pet needs laser therapy, hydrotherapy, acupuncture, or just a few massages and some fun sessions in our canine gym, we’re certain we have what your pet needs to feel safe, comfortable, and relaxed—and walk (or maybe leap or bound!) away feeling ever so much better than they did. Contact our Rehabilitation Team today for more details about how our advanced rehabilitation techniques can help your pet. VRC in Malvern, PA is a specialty veterinary health care clinic for your pet in the Philadelphia area. Give us a call at (610) 647-2950, 24/7, 365 days a year.